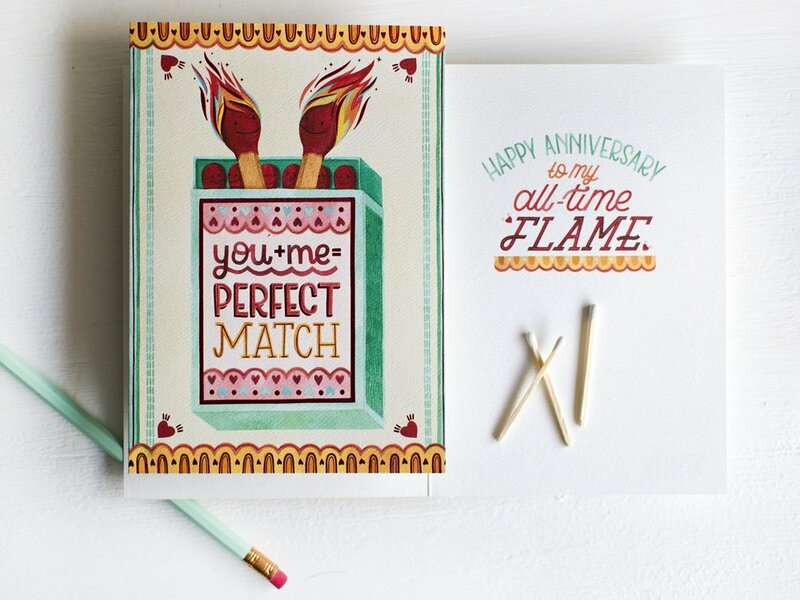 This Anniversary card was created in partnership with Sellers/RSVP Cards. I LOVE the red foil detailing I had the opportunity to design and have printed on the card-it's hard to see in the photos, so check out THIS video on my instagram for a sneak at the gorgeousness! As always with cards published in partnership with Sellers, this card is printed in a 100% wind powered facility on FSC certified paper using soy based inks.